After waging years of legal battles against firms working on open source technologies, Microsoft is now joining the Open Invention Network ("OIN"), a community dedicated to protecting Linux and other open source software programmes from patent risk. The decision reflects a change in attitude of the software giant which earlier considered open sources technologies a threat to its business and alleged that these technologies violated their patent rights. "We know Microsoft's decision to join OIN may be viewed as surprising to some; it is no secret that there has been friction in the past between Microsoft and the open source community over the issue of patents," Erich Andersen, Corporate Vice President and Deputy General Counsel at Microsoft wrote in a blog post on Wednesday. "For others who have followed our evolution, we hope this announcement will be viewed as the next logical step for a company that is listening to customers and developers and is firmly committed to Linux and other open source programmes," Andersen added. 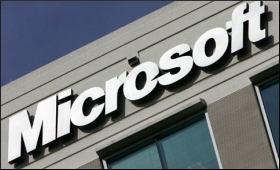 Microsoft said it would bring a valuable and deep portfolio of over 60,000 issued patents to OIN. "Now, as we join OIN, we believe Microsoft will be able to do more than ever to help protect Linux and other important open source workloads from patent assertions," Andersen said. "Joining OIN reflects Microsoft's patent practice evolving in lock-step with the company's views on Linux and open source more generally." The change at Microsoft, Andersen said, began over two years ago through programmes like Azure IP Advantage, which extended Microsoft's indemnification pledge to open source software powering Azure services. "We doubled down on this new approach when we stood with Red Hat and others to apply GPL v. 3 "cure" principles to GPL v. 2 code, and when we recently joined the LOT Network, an organisation dedicated to addressing patent abuse by companies in the business of assertion," Andersen said. Since its founding in 2005, OIN has been at the forefront of helping companies manage patent risks. It has more than 2,650 members, including numerous Fortune 500 enterprises. "Through its participation in OIN, Microsoft is explicitly acknowledging the importance of open source software to its future growth," Keith Bergelt, CEO of Open Invention Network, said in a statement.